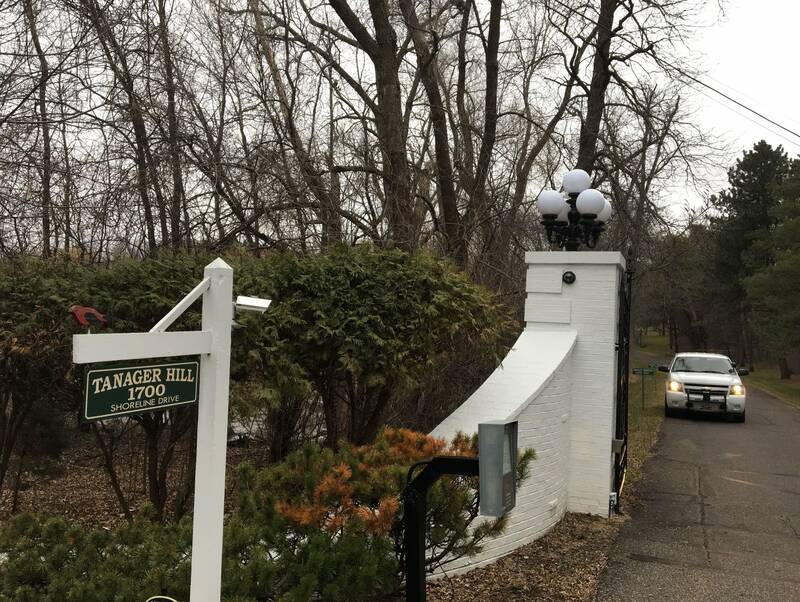 Updated April 11, 1 p.m. | Posted April 10, 11:21 a.m.
Police are investigating the deaths of two people found at a Lake Minnetonka home owned by well-known Twin Cities businessman Irwin Jacobs. 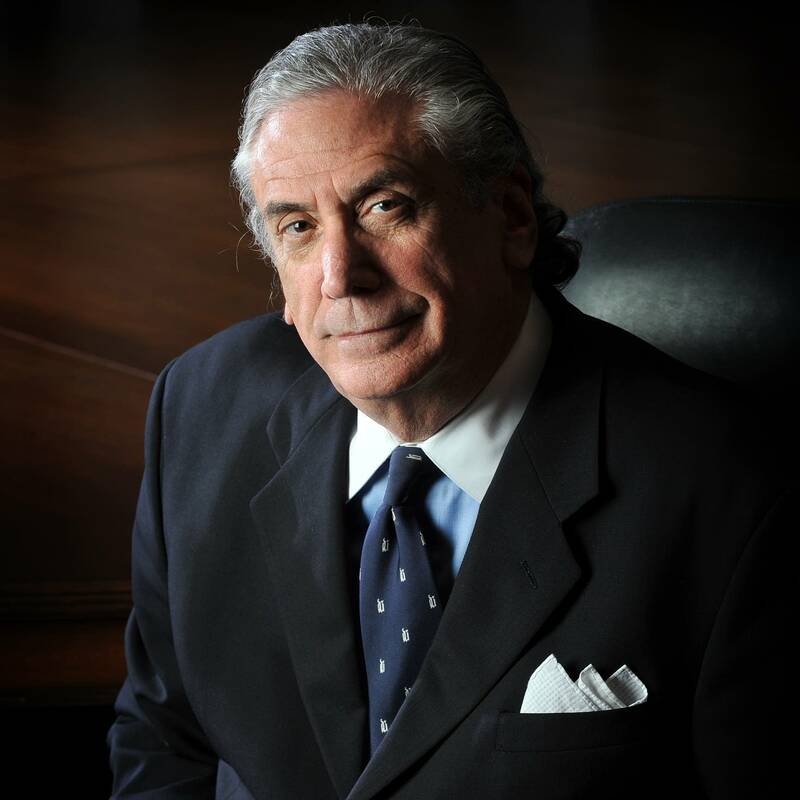 Dennis Mathisen, a friend and longtime business partner of Jacobs, told MPR News that he spoke with Irwin Jacobs' son Mark, who told him that Irwin and his wife Alexandra were dead. "Our family is shocked and devastated by the death of our parents," the couple's children said in a statement. "We are heartbroken by this loss, and we ask that our privacy be respected as we grieve during this very difficult time." Orono authorities said the bodies of a man and a woman were discovered at the 1700 Shoreline Drive home about 8:30 a.m. Wednesday. Police responded after Hennepin County emergency dispatchers received a call of a man and woman found dead in bed at the home, with a handgun found on the bed, Orono Chief Correy Farniok told reporters. He did not identify the dead or release a cause of death. Asked if this was a murder-suicide, Farniok said he could not say at this point. He added that no suspects are being sought, and there is no danger to the public. His business interests ranged from beer brewing to sandbags. One of his most notable local transactions was his purchase of the Grain Belt beer company and brewery in the mid-1970s. He later sold the beer brand to G. Heileman Brewing Co. and the brewery and real estate assets to the city of Minneapolis. His wife Alexandra Jacobs was an accomplished painter and a passionate advocate for people with disabilities. She was a longtime board member and supporter of the Bloomington-based PACER Center that serves young people with disabilities. PACER executive director Paula Goldberg said Jacobs often donated her art to help with fundraising and will be sorely missed. The couple had five children. 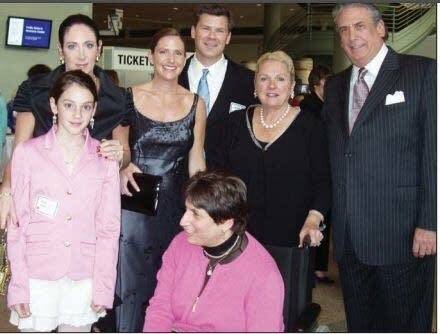 One daughter, Sheila, was diagnosed with cerebral palsy, which she chronicled on the PACER website. Irwin Jacob has owned J.R. Watkins Co., which makes soaps and other household products, for more than 40 years. He also owns Jacobs Trading Co., a retailer specializing in liquidation of merchandise. Critics branded Jacobs as "Irv the Liquidator" for the way he took apart companies that he acquired, sometimes leaving big job cuts in his wake. In a 1985 interview with MPR, Jacobs said he had no regrets about his approach to business. "From my own personal accomplishments, I'm beyond whatever I dreamt I would be in my life. More important than that I feel good about what I do and I love what I do," said Jacobs. And he told a business audience that year that he took no offense at how he was portrayed. "We don't buy companies, tear them down and sell them to the scrap mills. We have 500 locations throughout the world, 46 countries, 60,000 employees, $2 billion in revenues," he said. "And I'm a raider. And that's OK. I got no problem with it. Matter of fact, somebody said to me one time, 'Are you offended by the [label] raider?' I said, 'It's a very elite group.'" Jacobs became rich during the 1980s, buying big stakes in companies like Kaiser Steel, Disney and the parent of Dole Foods, threatening them with takeovers or management changes, and then making a profit by selling his shares to higher bidders. In 1987, Fortune ranked him as one of the 12 biggest corporate raiders, saying he had a $750 million war chest and $200 million in personal net worth. But he told Knight Ridder newspapers, "My love is not raiding. It's creating. All my life, I've been looking for value where other people can't find it." According to a history of the Jacobs Trading company, Jacobs got his start in the closeout business at the age of 18. He bought and sold a pile of skis that he acquired from the U.S. Customs Service. The skis had been seized due to unpaid customs duties. Jacobs' businesses included Close-out Merchandise Buyers. In 1986, Close-out Merchandise Buyers and cable TV companies created the Cable Value Network, which pioneered the TV shopping channel. Jacobs also owned local boat maker Genmar Holdings Co., which once had $1 billion total sales in its 2007 model year. The company went through bankruptcy restructuring beginning in 2009 amid a downturn in the boat-building industry.